Much of NWPB’s work focuses on the state of the labour force and related indicators throughout Niagara. Given this, NWPB will be featuring monthly blog posts highlighting information about industries in Niagara. The focus for this month is transportation and warehousing. 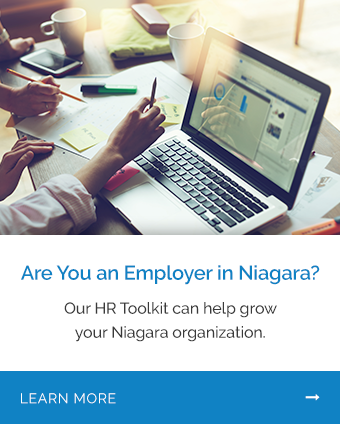 Employment data for industries are obtained from the Labour Force Survey, which focuses on the St. Catharines-Niagara Census Metropolitan Area (CMA). As a result, these data do not include Grimsby or West Lincoln. For additional information on employment in Grimsby and West Lincoln please review our municipal snapshot documents. Results from the Labour Force Survey indicate that approximately 8,900 individuals residing in Niagara were employed in transportation and warehousing throughout 2018. This puts transportation and warehousing as the 10th largest source of employment for Niagara residents. Figure 1 shows the number of employed individuals in transportation and warehousing. Although the transportation and warehousing industry within Niagara saw an employment dip in 2015, it has since rebounded to its highest total in the past five years, with employment increasing by 1,500 from 2015-2018. Figure 2 shows the percentage of all Niagara residents employed in transportation and warehousing. While data from Statistics Canada report on the number of people living in Niagara who work within a given industry, data from Table 1 provide a count of the number of jobs in Niagara in transportation and warehousing. Here, the data are based on the Niagara region and include all 12 local municipalities. Table 1 outlines the number of jobs between 2013 and 2017 as well as average annual income per job (2017) in transportation and warehousing. Overall, the number of jobs between 2013 and 2017 in Niagara increased by 7.0% or 430 jobs. Want to know more about in-demand jobs in transportation and warehousing? Contact us.